I'm not sure how many people are familiar with the Camino de Santiago walk but for those who aren't it's a pilgrimage which follows various routes through southern France and northern Spain. Recently four friends and I took on this arduous journey for the first time and each took a Limpeeze kit, initially we thought only as a precautionary measure. However it soon became clear, after day one in fact, how invaluable this kit is for protecting feet during lengthy walks. We all made use of the kits to provide protection against blisters, chafing etc. The kit is extremely lightweight and small enough to fit into backpacks and all the items in the kit, protectors, dressings etc are of the highest quality. We actually found ourselves sharing some of the items with very grateful fellow pilgrims who perhaps weren't as well prepared as we were (yes we can afford to be smug now!). If you're going on any sort of activity that involves lengthy walks you can take a pack of sticking plasters and hope for the best but I'd highly recommend instead you look after your feet and enjoy the journey with one of these great little kits. was doing my Duke of Edinburgh and walked about 30 miles in 2 days with 30-40lbs of kit, I only got one blister on my toe which wasn't covered. 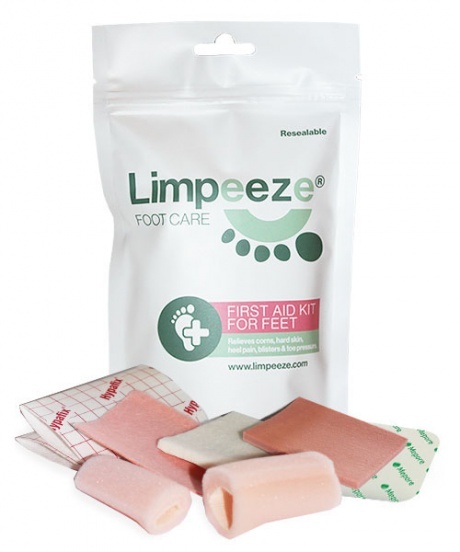 The pieces had no problem staying on my foot and I was walking on everything from sand to streams/water, rough rocky paths and over a mountain I would definitely recommend Limpeeze for anyone doing any long distance on foot.. I took the Limpeeze kit with me when I was walking the El Camino Trek. I have to say that this is a wonderful product that helped me out greatly on the 500 mile trek. 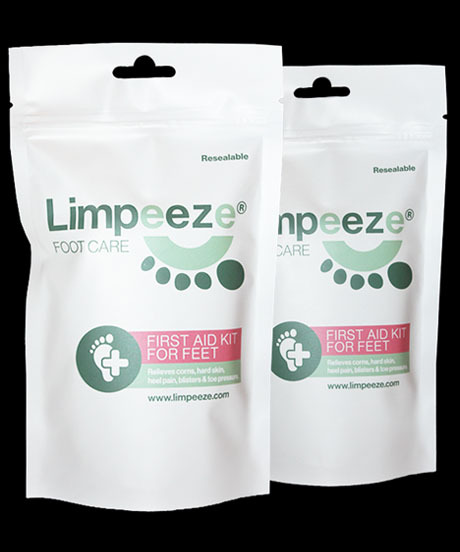 For anyone who is considering walking any distance at all, I would highly recommend carrying the Limpeeze kit with you at all times, as it can be a a life saver. Well done to Keith for designing this great product.